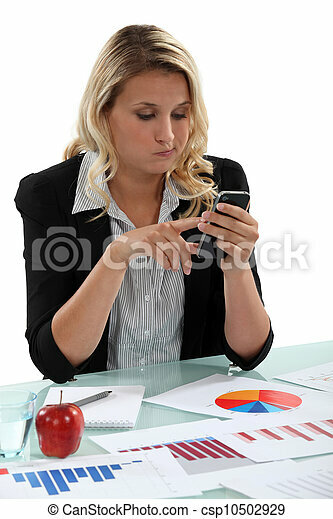 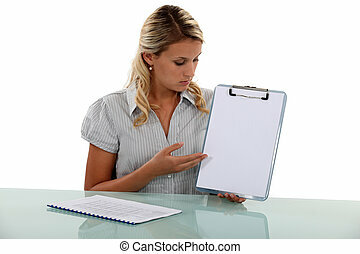 Blond woman with graphs on desk sending text message. 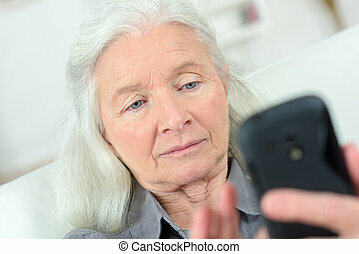 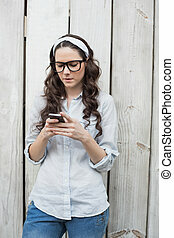 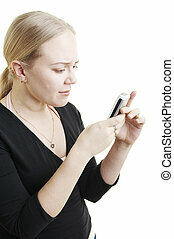 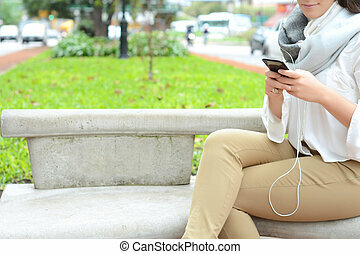 Woman sending / receiving a text message / email on her mobile / cellular phone. 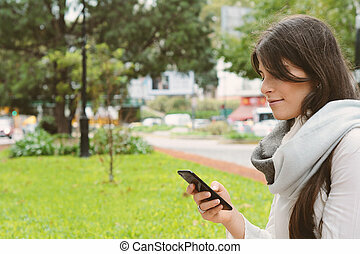 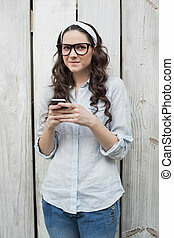 beautiful young woman sending message with smartphone on the street. 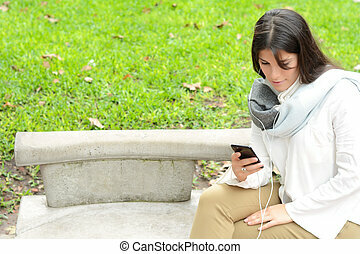 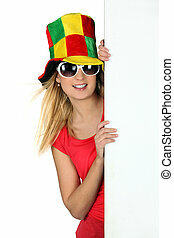 A blond woman looking at us with headphones on her head. 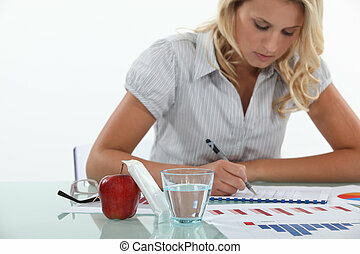 A woman working on charts. 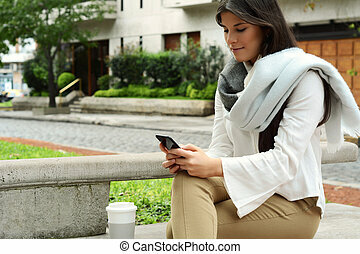 Beautiful blond texting on her bed.